Pissed Jeans’ new album, Why Love Now, comes out on Friday by way of Sub Pop, and we’ve already heard it in full. 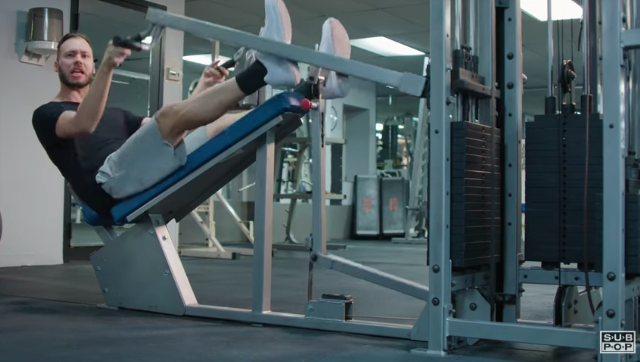 Today, the band released a video for the track “The Bar Is Low.” Pissed Jeans star in the clip, which takes place at a gym. If you like watching sweaty dudes lift, this one’s for you! Joe Stakun directs; watch below. Why Love Now is out 2/24 via Sub Pop.